Sylvestre Sporting Goods is the place to get on top of the game! We have sports equipment from the top brands in the industry, as well as the training gear and accessories to get you or your team in top condition. 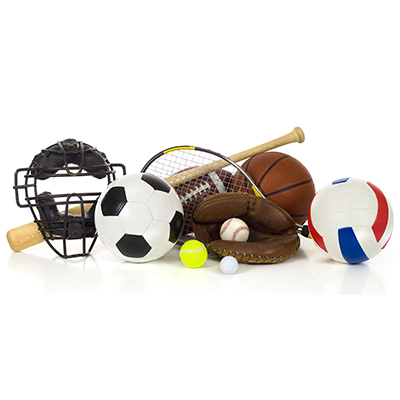 From hockey skates, baseball bats, and protective gear to skis, snowboards, and footballs, we have what you need for the big game or race, or to just get out and have fun! Our gear isn’t limited to baseball, hockey, football, soccer, and snow sports—whatever sport you play, whether it’s a team sport or a solo endeavor, we have the gear. 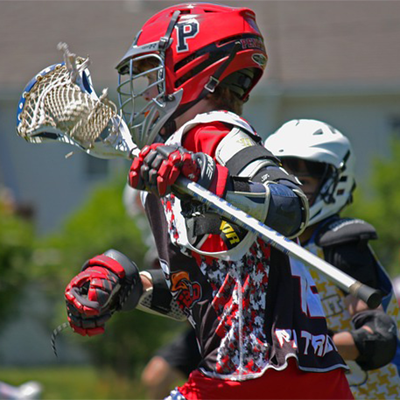 In addition to the equipment, we can outfit your team with uniforms and sports apparel from the top names in athletic clothing, as well as provide custom embroidery and screen printing services. 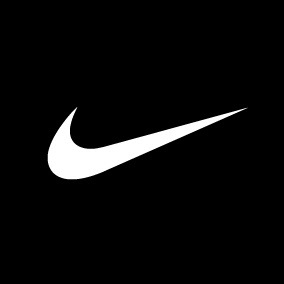 We also have a wide selection of footwear, including cleats, boots, and athletic shoes for all different types of sports. Whether you play competitively, just for fun, or both, we have all the gear you might need. 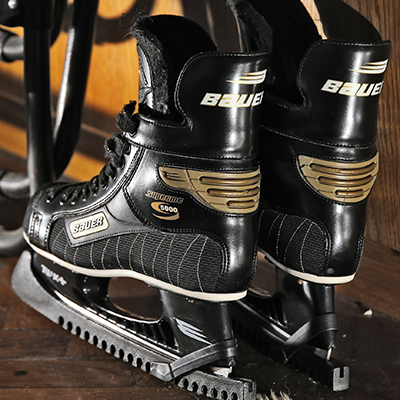 Skates, pads, sticks, pucks, goals and more, we have it. 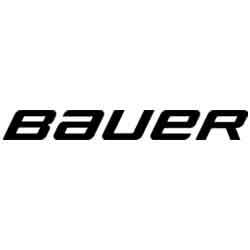 We also provide skate-sharpening services. Sylvestre Sporting Goods carries everything you need to feel like an all star on the pitch. We carry several big cleat brands for you to feel comfortable in the shoe of your choice, whether you are on grass, turf, or indoors. Socks and shinguard selections are also available. 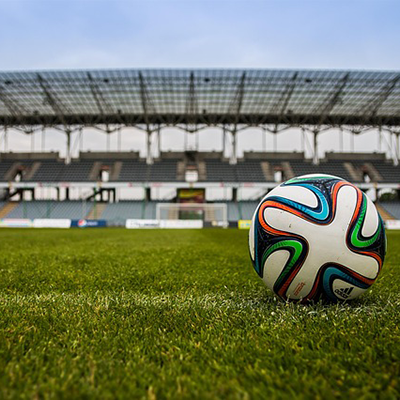 Whether you're looking for cones to help your ball control, or mini goals to practice your shooting, come to Sylvestre Sporting Goods where you can find all things soccer at one place. High angle shot of old and use baseball equipment on a rustic wood surface. Items include, baseballs, bats, home plate, catchers mitt and glove. Pitchers, catchers, first basemen, infield, outfield---we know baseball and softball. Sylvestre Sporting Goods carries all the gear your athlete needs to play the game, and the training gear to make him or her a star. We know how crucial it is to make that big catch at the right moment, slide into home, or snag that grounder. 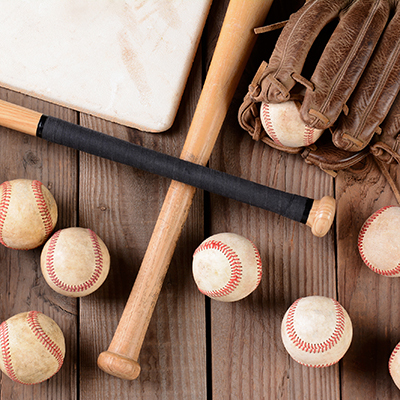 With our baseball and softball equipment, you’ll be fully geared up. Unsure what you’ll need? Ask any of our helpful associates for advice. 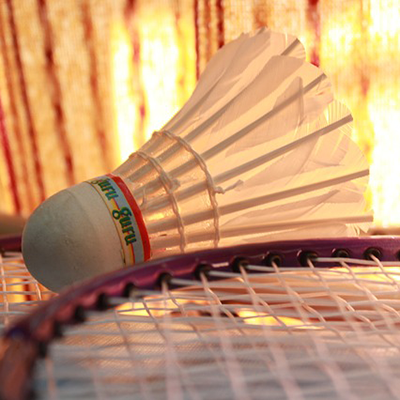 Badminton, Racquet Ball, and Tennis racquets are all available at our store location. We also carry birdies, racquet balls, and tennis balls in bulk for you to train without having to chase down one ball at a time.